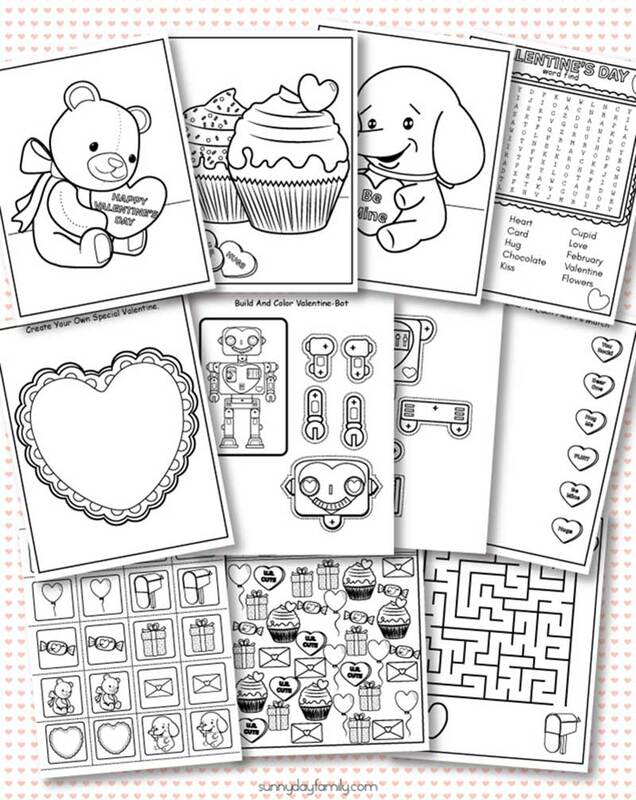 Valentine coloring pages and activity sheets your kids will love! Nothing warms a cold winter day like thoughts of hearts, candy, and all things Valentine's Day. We've had so much fun with our winter coloring pages and build a snowman craft set this season that I knew my boys would love something similar to get ready for Valentine's Day. 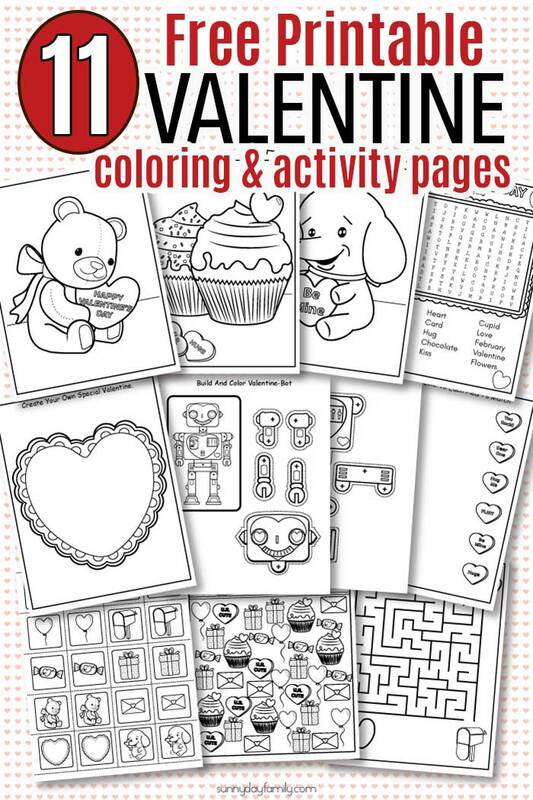 These Valentine coloring pages and activity sheets fit the bill perfectly and are just the thing to keep us busy until the big day! This set has everything you need to give your kids lots of Valentine themed fun. There are 11 total pages and 10 activities. 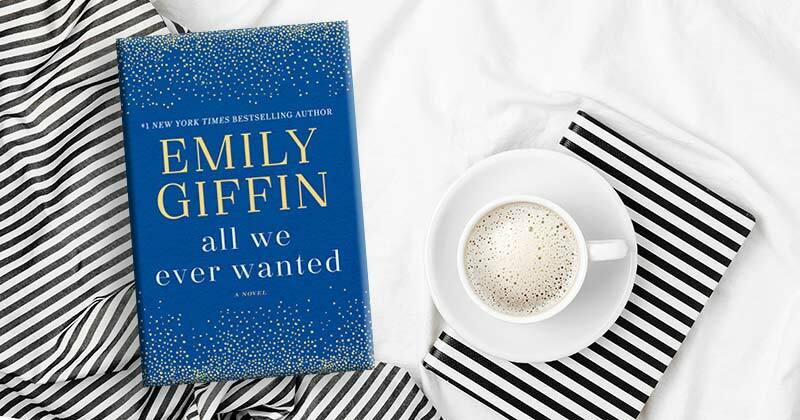 Everything prints in ink friendly black and white, and each sheet doubles as a Valentine coloring page for twice the fun. Build a Valentine Robot set (2 pages). This matches perfectly with our Robot Valentine Bookmarks! 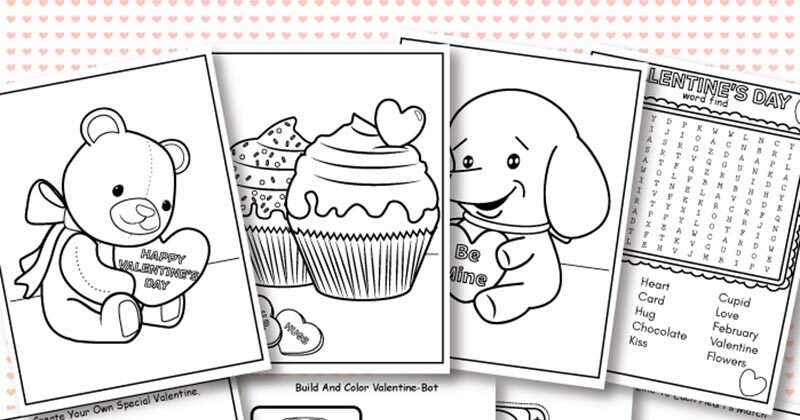 To download your own Valentine activity pack, simply click the button below.